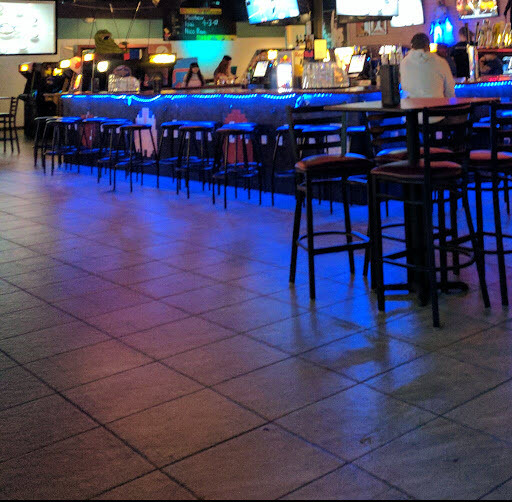 Seating Masters facilitates arcade and bar in El Paso TX with its interior bar design project by providing restaurant chairs, backless bar stools and tables. If you are looking to be in touch with your inner child and enjoy a few drinks, you will fit right in at Rubik’s Arcade Bar. And if you want to relive the 80’s, this location is perfect for you. 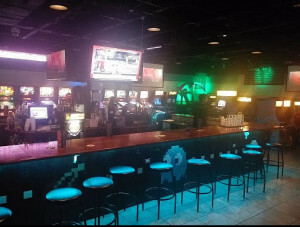 This arcade bar combines the best of both worlds by mixing nostalgic games you grew up with and 80’s inspired cocktails. 80’s are making a comeback from skinny jeans to current music with retro sounds from the 80’s. Believe it or not, soda companies are revamping their brands with throwback designs. Big screens at this bar are flooded with 80’s remakes. While the 80’s trend is a rave among many marketers and businesses, El Paso businessman and former high school teacher Alex Macias has been stuck in that era for years. Ever since Macias was a little boy, he has always dreamt of opening up his own arcade as it was a huge part of his childhood. Having collected and repaired arcade games for over ten years motivated him even more to embark on this business venture. The idea of opening an arcade with a bar began to brew in his mind in 2004. His dream became a reality with the help of his wife Mariana and best friend Mark Sheridan and Rubik’s was born that January. The name was inspired by the Rubik’s cube, a popular toy from the 80’s. 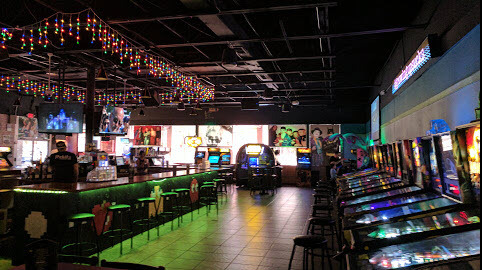 This venue is a blast from the past with over 50 arcade games and pinball machines lining its wall. Even if the 80’s trend is not your style, there are more up to date games that are based on current television shows that cost a quarter to 75 cents. Rubik’s is not your typical bar. Its bar layout ideas are unique with names of cocktails that reflect 80’s pop culture. The menu includes Purple Rain, Pretty in Pink kazi, Margarita Beatbox and a Ghostbuster shot. If you are familiar with the all-America classic comical show the Simpsons, the bar serves the legendary Squishees with a lime margarita base. Some of their more popular drinks are the Talk Nerdy to Me made with Svedka raspberry vodka topped with a spoonful of Nerds candy. Speedy Gonzales is also another crowd pleaser made with Svedka mango pineapple vodka, rimmed with chamoy powder and topped with Mexican chili for some heat. In recent years, Rubik decided to update its interior bar design with commercial furniture that would put a modern spin to its 80’s theme. They contact Seating Masters, a reputable restaurant furniture manufacturer with over a decade of experience serving the food and hospitality industry nationwide. 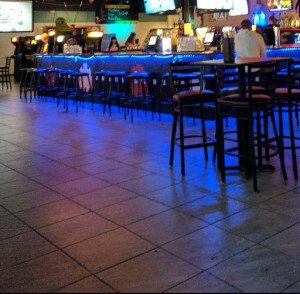 They furnished their bar area with a set of Classic Backless Metal Bar Stools. These backless bar stools are built for style and durability. Starting at $41.00 per stool, you can choose from a wood or an upholstered seat. These bar stools feature a design that can easily blend in any décor from industrial, classic to retro which is why they are popular. For their dining area, they decided on the reversible table tops, each with a bar height X prong base. They then used the metal ladder back restaurant chairs for seating. The simple yet elegant ladder back design is what makes these restaurant chairs desirable among many drinking establishments. In addition to their beauty and durability, these chairs can be customized to fit most restaurant interior designs and themes. Customers can choose from our selection of frame finishes and seating options we offer for these chairs. To complete the look of your décor, we highly recommend our matching arm chairs and bar stools. Come by Rubik’s for some drinks and fun at 4025 N Mesa St Ste. A, El Paso, TX 79902, USA or call them for information about their hours of operations, services, games and drinks at 915-231-6750.